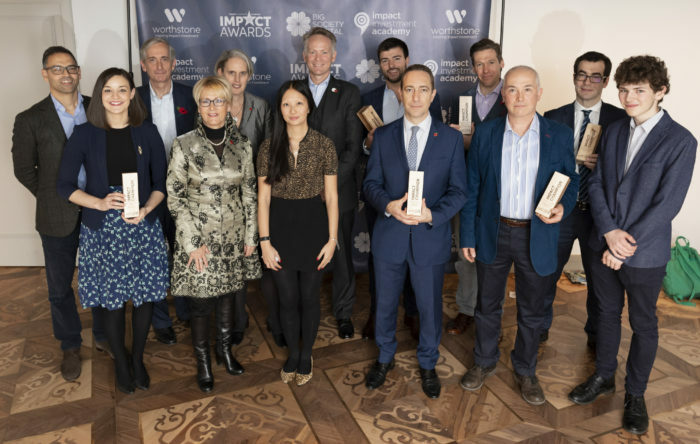 Worthstone was thrilled to launch the Social Investment Academy Impact Awards – the first awards for the UK retail impact investment community. Showcased at the 2018 Social Investment Academy back on the 8th November, the Impact Awards celebrated best practice in the retail impact investment sector; championing advisers, advisory firms, fund managers and discretionary fund managers (DFMs) who are leading the market in aligning retail investment strategies to achieve positive social and financial outcomes. We believe, by celebrating achievements and showcasing best practice, the rest of the sector will be inspired by what can be achieved when impact is embraced within our investment market. For details on the judging panel, please click here.